RADIOACTIVITY in the Irish Sea is at an historic low, figures show. But Environment Minister MHK John Shimmin still has concerns about emissions from the Sellafield nuclear plant and has reiterated government’s aim to get it closed down. 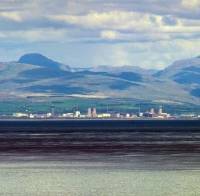 The Government Laboratory has published its annual report on radioactivity monitoring which details discharges from Sellafield into the sea. Tests on local seafood last year found only traces of radioactivity originating from Sellafield, with the concentrations detected being too low to be of any health concern.